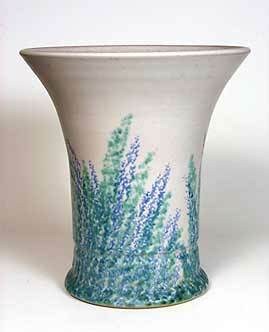 Herbaceous border vase - 9⅜" (238 mm) high. Mid 1930s. This sponge decorated design was by Donald Gilbert. The shape is Netherlea.